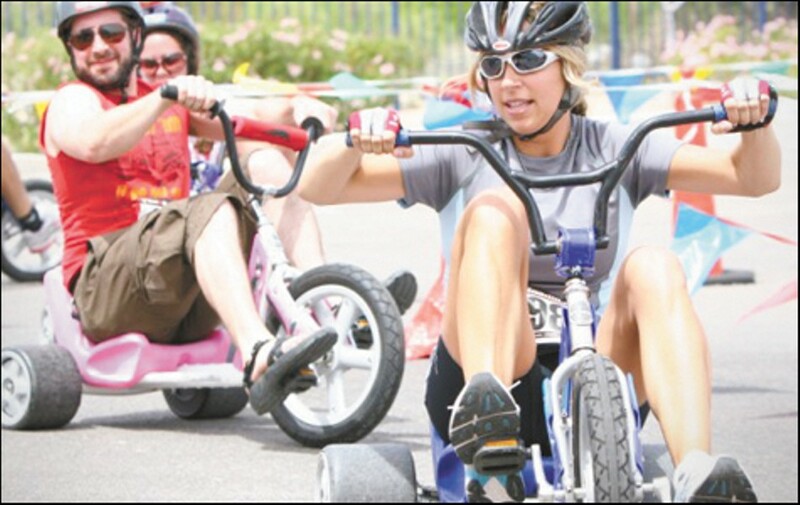 Urban Assault's big-wheel challenge in Tuscon. Many of us associate bicycles with visions of a slower, more deliberate, more leisurely civilization. But not Josh Kravetz. A former professional mountain biker based in Boulder, Colorado, Kravetz retired from racing with ambitions to promote bikes as a lifestyle choice rather than a form of competitive transport. Apparently, he still had the racing gene in his blood. In 2003, Kravetz launched Urban Assault, a family-friendly contest in which riders pair up in teams and try to find the quickest way to hit seven checkpoints scattered around town. (Five are listed ahead of time on UrbanAssaultRide.com; the other two are "mystery checkpoints.") 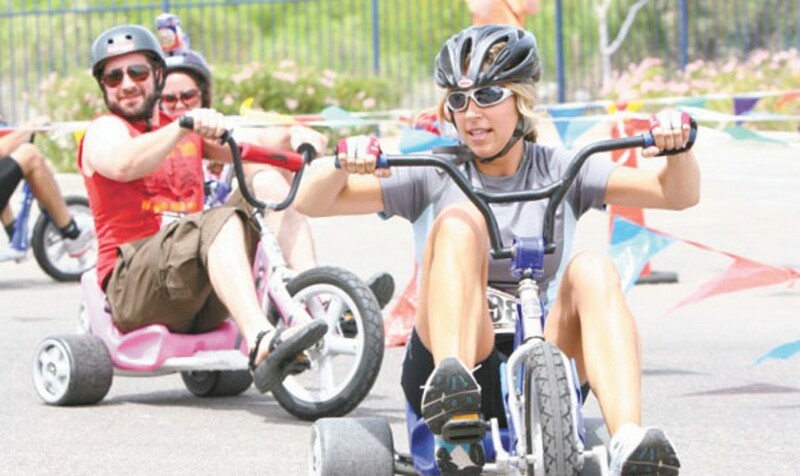 Each checkpoint has an obstacle course for all teams to complete, ranging from human bowling and bike limbo to bike jousting (i.e., knocking over cones with a big stick while riding on the back of somebody else's bicycle) and big-wheel racing through a maze. Each team gets to plan its own route and come up with its own strategy for maximal efficiency, said Urban Assault spokesperson Sharon Cutler. Some folks might plan a course with all right turns, so they don't have to stop for red lights. Others might try side streets, or cut through city parks. Some might even try heading to the farthest checkpoint first, to avoid lines. Having that kind of know-how is important, said Cutler, though it's not as critical as having speed and agility on a bicycle. Urban Assault is a fitness test, after all. Adult teams ride between 25 and 35 miles, depending on the route they choose. Family teams (in which one member is thirteen years old or younger) ride about fifteen miles. A super-fast team can finish in about an hour and twenty minutes, but a slower team might take up to three hours.